NALP - National Association for Law Placement | NALP vs ABA Data: Why Do They Vary? Resources & Initiatives > For Career Services > Employment Report & Salary Survey (ERSS) Info > NALP vs ABA Data: Why Do They Vary? NALP vs ABA Data: Why Do They Vary? Why is NALP’s data on employment outcomes for a school sometimes different from the ABA’s data published for that school? The individual employment outcome reports that NALP sends to each member school contain figures that may vary from the school’s published employment outcomes based on data submitted to the ABA. The differences in the two data sets arise for a variety of reasons depending on the class year. NALP counts as employed any graduates with a confirmed JAG Corps position, even if the graduate had not started in that position as of March 15, 2016 (for the Class of 2015) or March 15, 2017 (for the Class of 2016). NALP continues to categorize public defender positions as public interest, not as government, even if the public defender office is a government office. NALP categorizes public interest law firms as law firm private practice, and not as public interest. 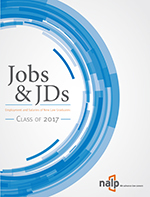 NALP’s counts of job types, e.g., bar passage required, include law-school funded positions, if any, whereas ABA counts do not. NALP does not require reporting of information as to terms of the job, that is whether it is full-time or part-time and whether it is long-term or short-term for graduates where that information is not known. The ABA requires that the lesser value be reported in these cases. 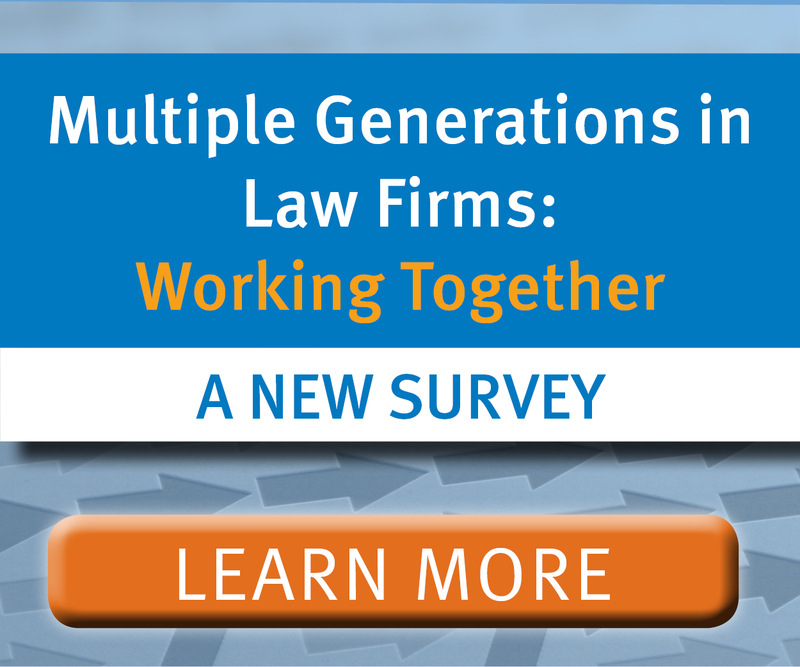 Law-school funded jobs can be reported to NALP as long-term if the jobs are expected to last at least a year. Such jobs can be reported as long-term to the ABA only if the job also pays a salary of at least $40,000. NALP’s research methodology includes an extensive process of quality control and follow-up with schools to ensure that job information is internally consistent and in compliance with definitions used by NALP — a process that often results in changes to the data submitted. NALP makes every effort to accommodate updates/corrections/changes to graduate status after the initial submission date (but still as of 3/15/16 or 3/15/17, respectively). However, the national database is closed in late July to prepare various reports and analyses, thus information received by schools after that cut-off point is not reflected in the NALP reports. NALP counts as employed any graduates with a confirmed JAG Corps position, even if the graduate had not started in that position as of March 15, 2015. 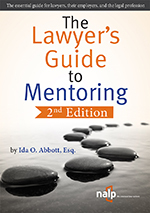 NALP’s definition of law-school-funded positions is narrower than the ABA’s, to include bridge-to-practice fellowships and fixed duration opportunities on campus reserved for new graduates, but to exclude other jobs on campus that may have been obtained by your graduates, or jobs held by your grads before or during law school. For example, a job as law librarian, or assistant director for career services is not considered as law-school-funded by NALP. NALP makes every effort to accommodate updates/corrections/changes to graduate status after the initial submission date (but still as of 3/15/15). However, the national database is closed in July to prepare various reports and analyses, thus information received by schools after that cut-off point is not reflected in the NALP reports. NALP counts as employed any graduates with a confirmed JAG Corps position, even if the graduate had not started in that position as of February 14, 2014. NALP makes every effort to accommodate updates/corrections/changes to graduate status after the initial submission date (but still as of 2/14/14). However, the national database is closed in early June to prepare various reports and analyses, thus information received by schools after that cut-off point is not reflected in the NALP reports.